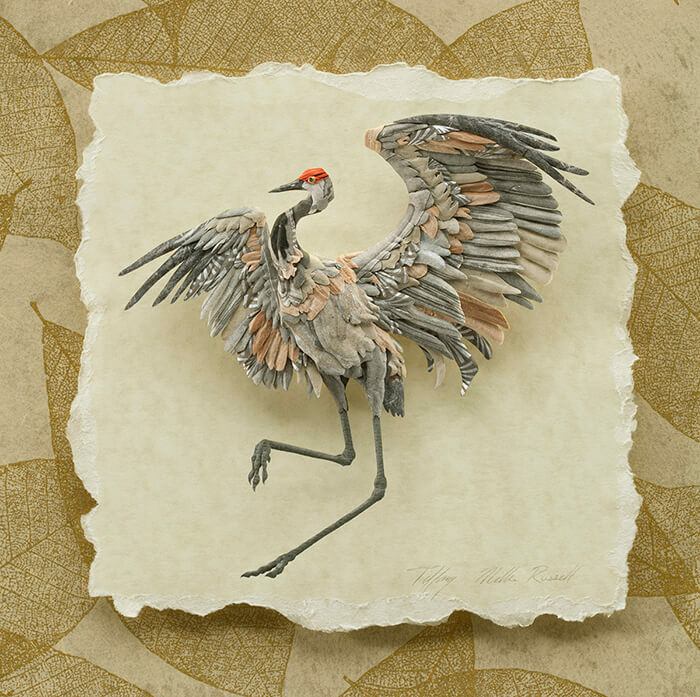 Paper sculpture isn’t something special and we have been featured many of great works here. 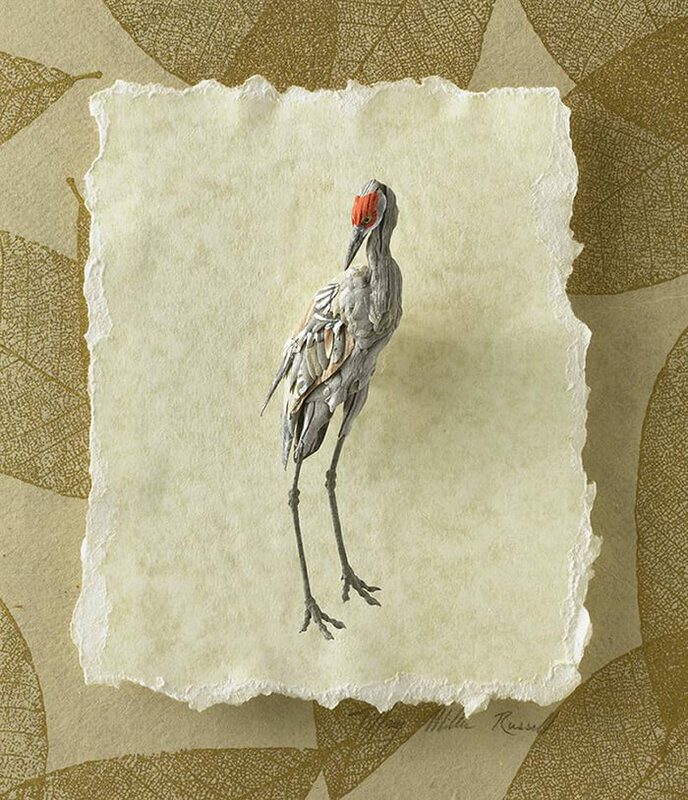 And since we have seen so many, it is harder and harder to be impressed. 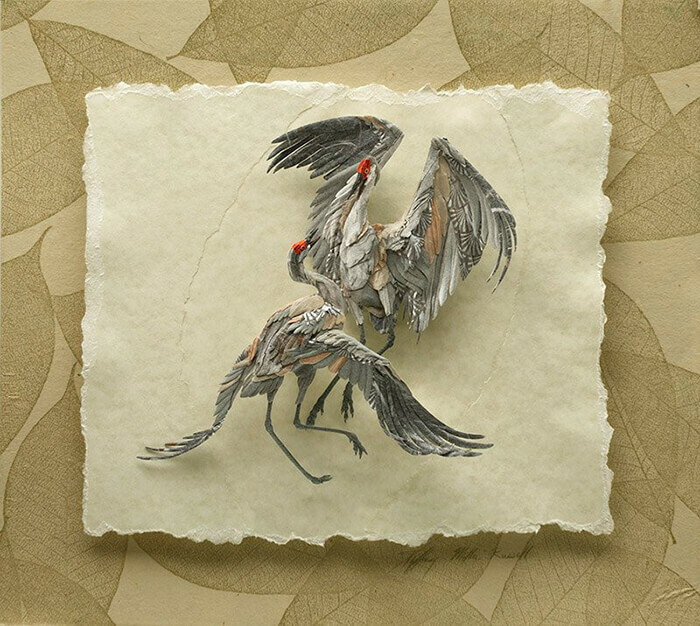 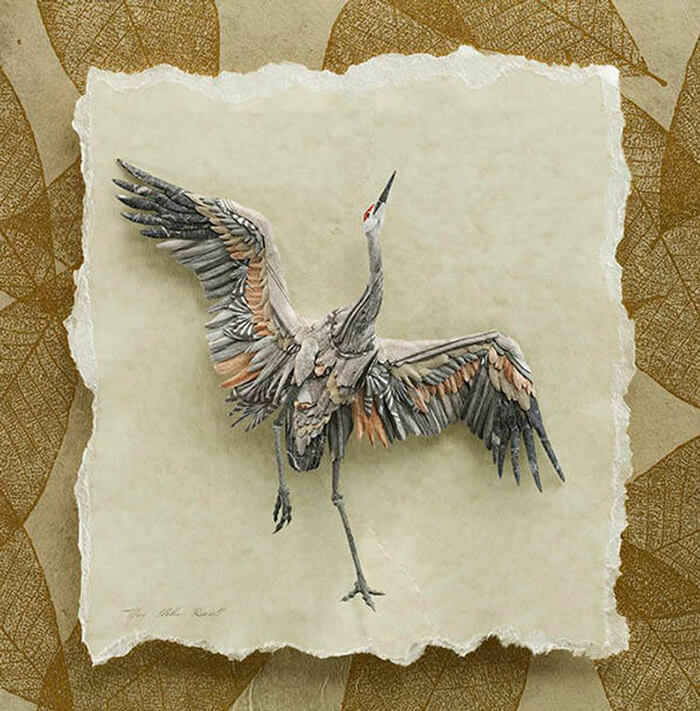 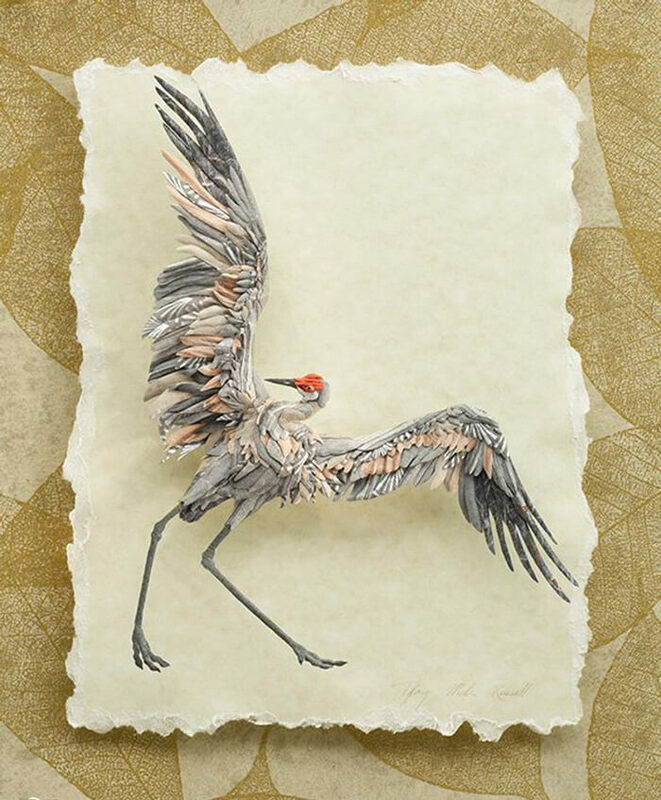 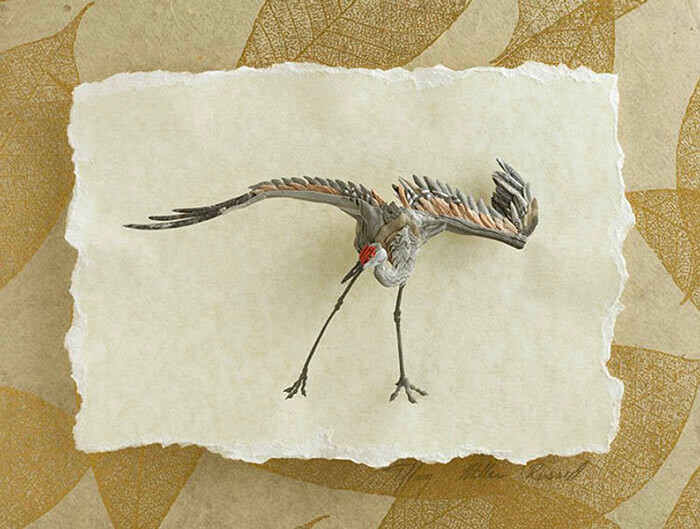 But when we saw Tiffany Miller Russell’s paper crane, we still be shocked by the work which is not only super detailed and realistic, but also vividly show crane’s personalities. 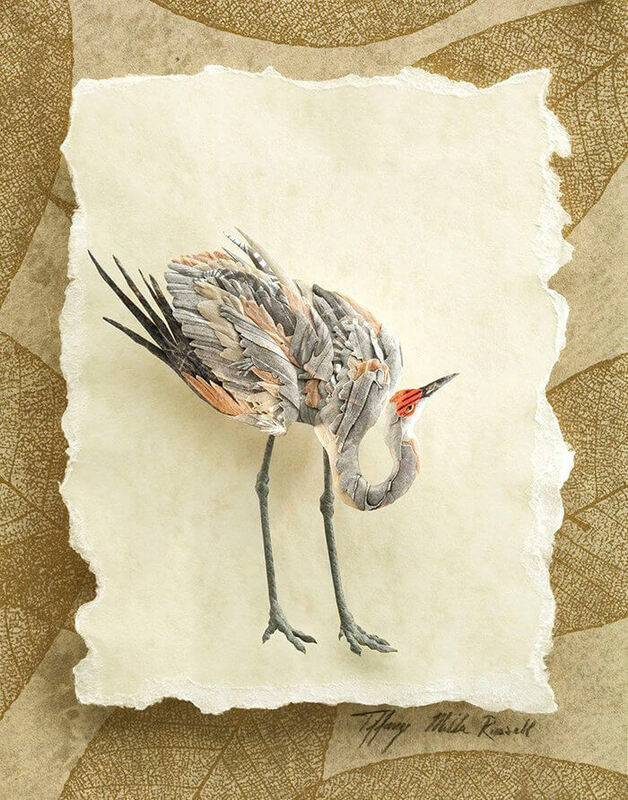 You might even think the crane is going to fly out of the paper. 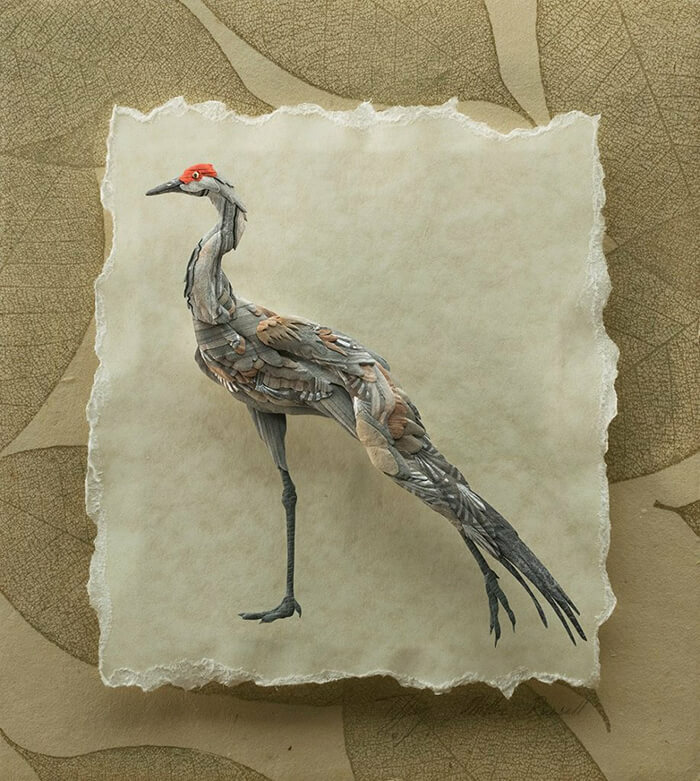 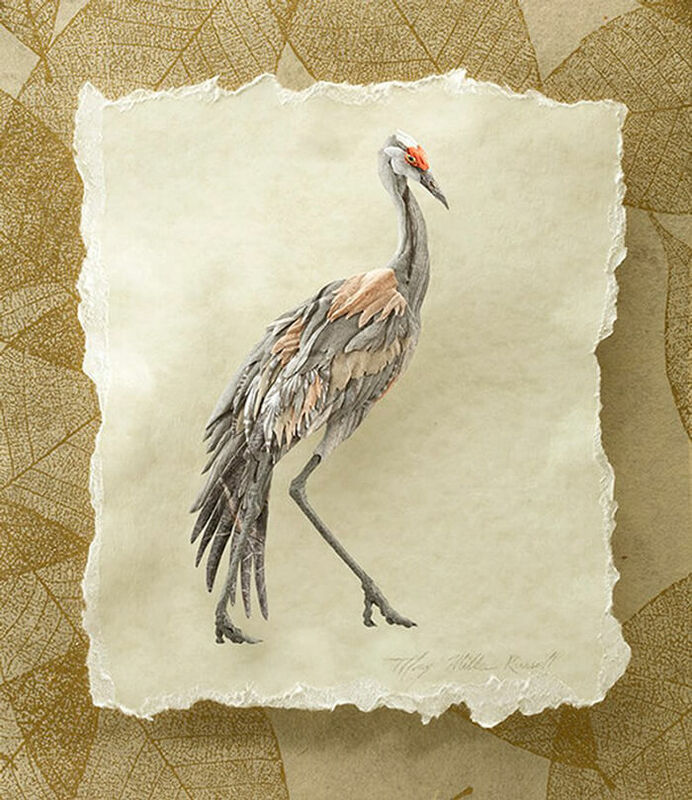 To start the sculptural works, the Colorado-based wildlife artist and natural history illustrator Tiffany Miller Russell first creates an original drawing. 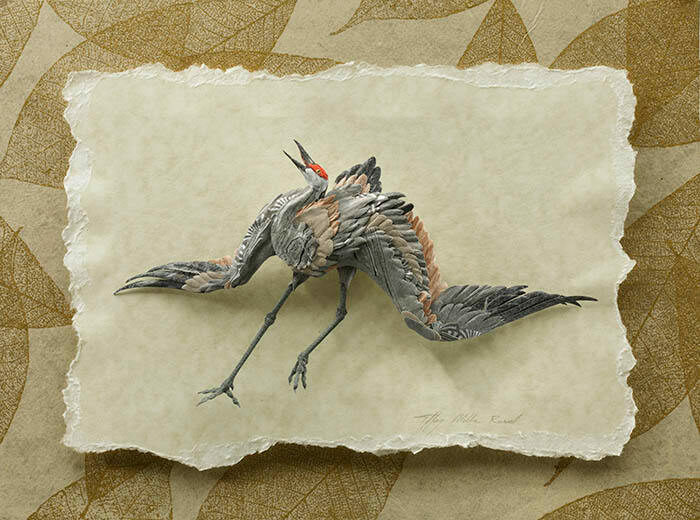 She then she cuts and forms found specialty papers by hand to build a three-dimensional collage atop the underlying illustration. 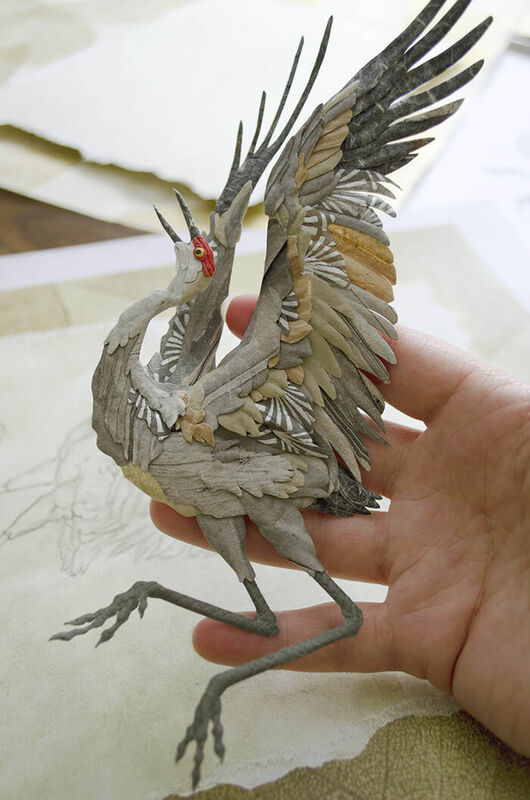 For some large-size work, it will can take up to 300 hours to complete. 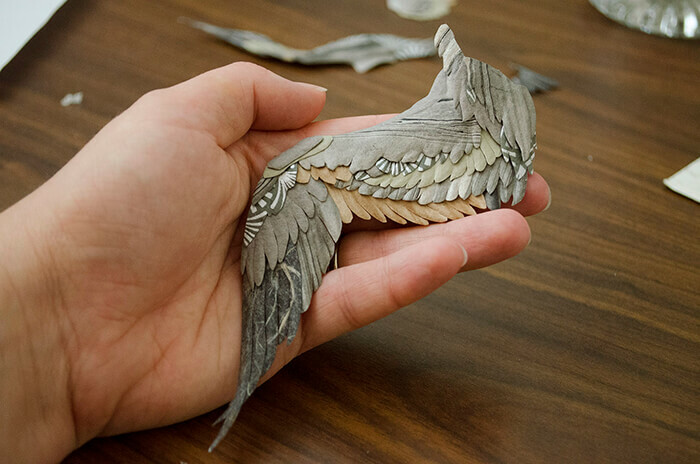 The video below offers a time-lapse view of Miller Russell’s hands-on process. 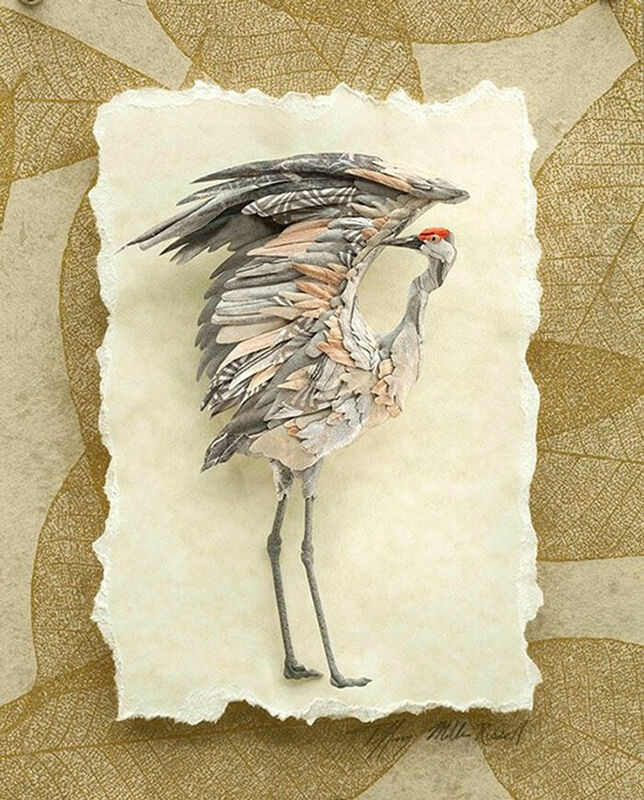 You can discover more of her three-dimensional animal portraits on her website, as well as her Etsy shop, where the artist offers originals and prints for sale.